Legendary toy designer Marvin Glass once surmised that certain toys resonate with children because they provide direct, honest entertainment that is scaled down to kid-sized proportions. As a class of playthings, toy robots like the Verbot exemplify this notion. 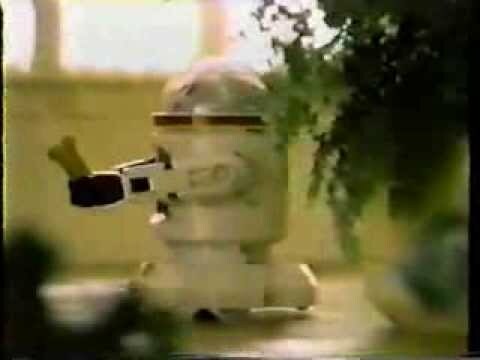 Driven by the popularity of sci-fi movies like Star Wars, the Verbot was part of a family of “home entertainment robots” released by TOMY in the mid-1980s. The toy stood nine inches tall, making it the mid-sized option, between the diminutive Dingbot and the much larger Omnibot. The Verbot came equipped with a built-in memory that allowed kids to perform eight different functions from an integrated control panel. A drive system that consisted of two wheels and a ball bearing moved the toy forward and backward, left and right, on command. Movement is only half the story, however. The Verbot could also carry objects in its moveable arms, and exhibited some personality by blinking and smiling upon request. The toy could also be controlled from a distance. The wireless remote control was operated through voice commands. 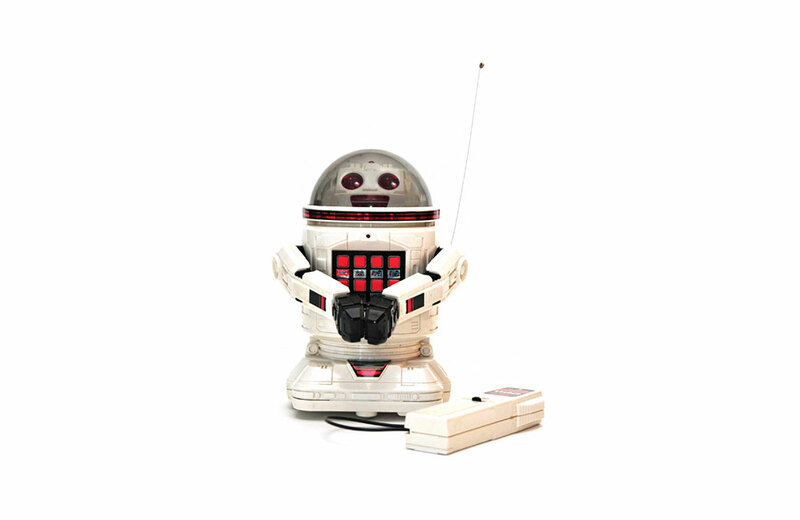 Up to eight commands could be programmed by pushing one of the eight buttons on the Verbot’s control panel and holding it down while a word or phrase was spoken into the remote’s microphone.